But he confessed that there is still room for improvement in his game if he is to become a contender for victory at Augusta some day. 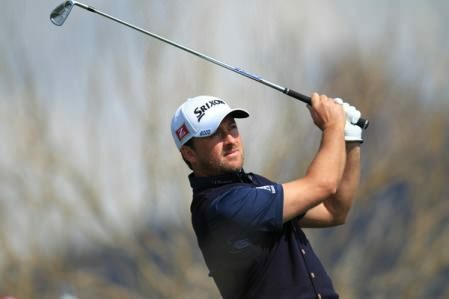 "It has shown me I can get around Augusta," said McDowell, who had six birdies, a bogey and a double bogey on his card. "When I came here in 2005 I went away maybe thinking I couldn’t get around here. Four years on and I have had four great days. I have learnt a lot about this course and will be looking forward to coming back to the Masters. "I feel I have come on a lot as a golfer. You learn a lot about how to plot your way round a course like this and I have played more green set ups which has shown me my short game needs to get a lot better. "I have been a couple of years working on that and it is still work in progress. I have a lot more work to do before I can hopefully slip a green jacket on. "I have had a short game lesson all four days from my playing partners and I have a lot of work to do. I’ve got to keep improving. "They had the golf course set up very generously today. Augusta trying to inject a bit of excitement obviously and the course was set up for scoring today no doubt about it. We knew we had to be aggressive today." McDowell bogeyed the first but birdied the third, fifth and seventh to get to three-under par before he ran up a double bogey at the short 12th by flying the green. But he was pleased to bounce back with three successive birdies from the 13th and claim a share of 17th place. He said: "I hit a good second into the first but just misjudged it a little. After that I played pretty well. I have played nicely all week, just maybe not squeezing every ounce out of my round. "I didn’t quite hit the ball tee to green I would have liked but got it better today. Got it in the right positions and made a few putts." 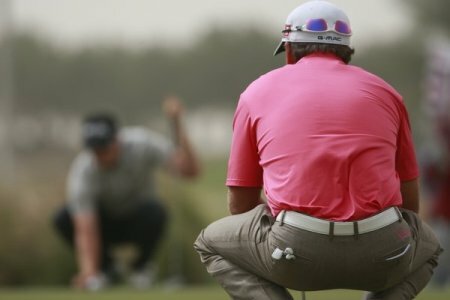 Graeme McDowell bogeyed his final two holes but confessed he was happy to sign for a three-under par 69 that left him just four strokes adrift of first round leader Chad Campbell. McDowell’s three putt hell began on the 10th green.Graeme McDowell knows he needs three rounds in the 60s to win the Masters after three-putting four times on the back nine in a frustrating 74. The US Open champion bogeyed the fifth but birdied the sixth and ninth to move to turn for home on one-under par before it all went pear-shaped on the greens.